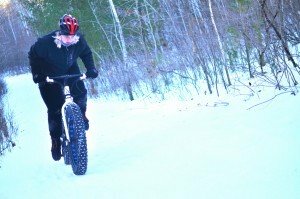 A NEW TYPE OF WINTER ADVENTURE: FAT BIKING. A unique way of exploring the snow-covered trails has emerged in recent years and is growing HOT in the St. Croix Valley. Fat Bikes are a type of specialized mountain bike made for adventures on unstable terrain. 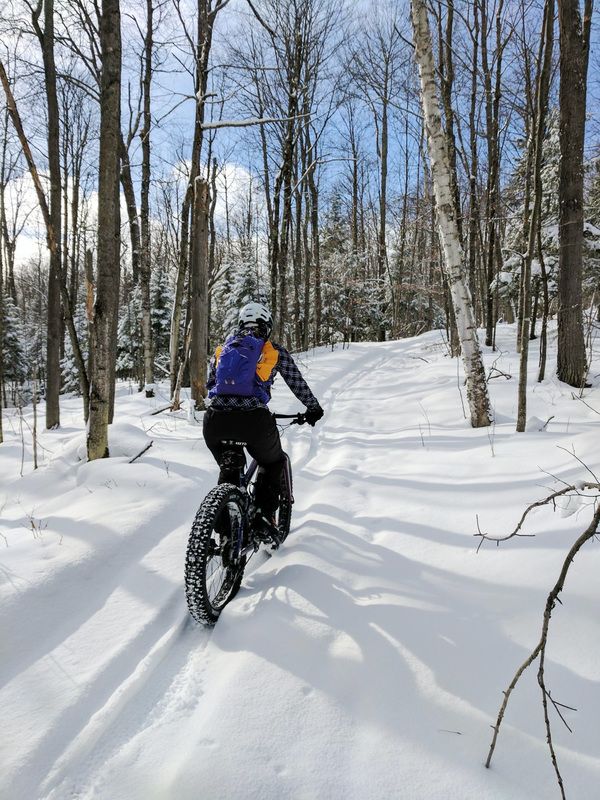 These bikes are made to ride on snow-covered trails and are equipped with over-sized tires that allow the rider to “float” over previously unrideable conditions. It’s a great workout, fun for the whole family, and a perfect way to extend your biking season. In the St. Croix Valley, the Woolly Mountain Bike trails are the perfect spot to try out a fatty. Start at the Woolly Bike Club Trail Head (at the bottom of "Big Oak") at the intersection of Lincoln and Maple Drive in St. Croix Falls. These trails are maintained and groomed winter and summer by the Woolly Bike Club, a local IMBA (International Mountain Biking Association) chapter. Because they are so well maintained for all seasons, there are now just as many riders in the winter as there are in the summer months! Unlike XC skiing, this sport is not limited to winter. The huge tires were not only made to shred the snow, but can also tackle other uneven terrains such as sand, gravel, and gnarly roots. In fact, you may see fat bikes year-round on the area trails because they are so versatile. Photo courtesy of David Gabrys/45North. 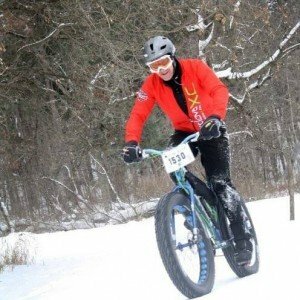 The versatile nature of fat biking may very likely be why fat bike races are starting to become so popular. Weather forecasts can be unpredictable, and for races dependent on snow cover (such as XC races), if the flakes don’t fall, the race doesn’t happen. Not true with the Fat Bikes. If it doesn’t snow, it just alters the adventure a little. 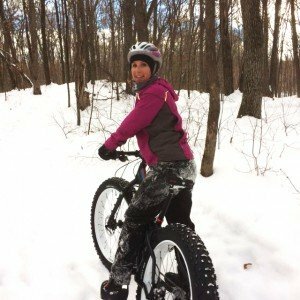 If you don’t have a fat bike yet, but want to try one out, you can contact Cyclova in downtown St. Croix Falls. Not only do they have fat bikes for rental, but they are also experts on helping you pick out your fat bike purchase. Dallas W. racing in the 2014 Solstice Chase Bike Race. Wendi L. is enjoying the Woolly Trails on her Fat Bike. Silent Sports such as fat biking are growing in popularity. Photo courtesy of Amy M./Bike Jacket. Featured riders: Alicia Fisk and Samantha Olson, members of Herr, a developing Women's Mountain Bike team based in St. Croix Falls, WI. Get on a FATTY and try out a NEW WINTER SPORT!